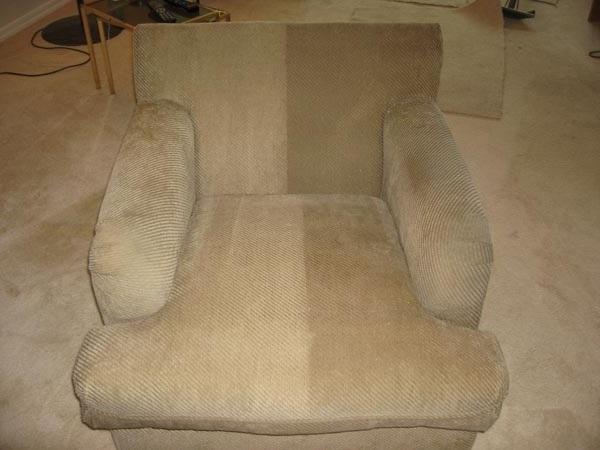 The professionals at Shaggy Carpet Cleaning can deal clean your upholstered furniture, to awaken it back to its original state of color and freshness, and restore the elegant beauty of your favorite upholstered furniture. Let your furniture’s natural beauty shine through. See it richly textured and colored once again! Experienced, well trained professionals at Shaggy Carpet Cleaning know how carpet upholstery cleaning machines are necessary to perform a much needed face lift on your home furnishings. From sofas and love seats to mattresses and pillow cleaning, only our professional cleaners will be able to provide the level of deep cleaning treatment your furniture needs to last longer and be more pleasant to use. Leave steam cleaners, carpet shampooers, and professional grade upholstery product cleaners to the professionals. Rented carpet shampooers and steam cleaners are often poorly maintained, and can actually cause more damage than good! Your best bet is to just maintain your furniture with a standard vacuum – giving furniture and upholstery a thorough vacuuming every time you clean to remove surface dust and dirt before it has a chance to sink into cushions, pillows, and mattresses. When this proves not enough, however, you should call in the professionals – and Shaggy Carpet Cleaning will be there to get the job done for you! So, what are you waiting for? There simply isn’t a better carpet cleaning company out there than Shaggy Carpet Cleaning. The choice is clear. You won’t find better prices or service anywhere in the Woodland Hills, CA. area. We’re standing by, waiting to hear from you. We’ll be more than happy to handle all your carpet cleaning needs. So call now – you’ll be absolutely amazed at how convenient a carpet cleaning company can be. Call today, and watch your furniture look and feel better tomorrow!